The smallest extension to a school, a hospital or any other public building creates a plethora of individual problems that all need to be identified, assessed and planned around before works, main contract or sub-contract, actually start on site. Our wide range of experiences working on all sorts of public sector buildings means we are well capable of carrying out roofing works as a sub-contractor working with a main contractor where general building works are involved or as a principal contractor where roofing works only are being undertaken. We have previously worked as principal contractor re-roofing various properties including hospital buildings, school buildings, social housing and council offices. As such we are very aware of the needs to satisfy the client that we are capable of providing the necessary health & safety documentation including developing the construction phase health and safety plans, risk assessments, method statements and the O&M Manual upon completion of a project. On site you can be assured that the works will be carried out by a team of tradesmen working to the high standard that would be expected, within the terms of the health and safety plan and with due consideration to the nature of the building, its users and the surroundings. PUBLIC SECTOR roof works ON LES BOURGS HOSPICE, GUERNSEY. Example of new roof works on a hospice based in Guernsey. PUBLIC SECTOR roof works ON west buckland community primary school, somerset. Example of new reclaimed slate on a school based in West Buckland near Taunton. PUBLIC SECTOR roof works ON morchard bishop chucrh of England primary school, devon. Example of new reclaimed plain tile with decorative detail on a school based in Morchard Bishop near Crediton. PUBLIC SECTOR roof works ON King's school, devon. Example of new plain tile with various details on a school based in Ottery St. Mary near Exeter. PUBLIC SECTOR roof works ON GRANDS VAUX SCHOOL, GUERNSEY. Example of new roof works on a school based in Guernsey. public sector roof works on queen elizabeth's school, devon. Example of new slate with various details on a school based in Crediton, Devon. public sector roof works on passmore edwards library, devon. 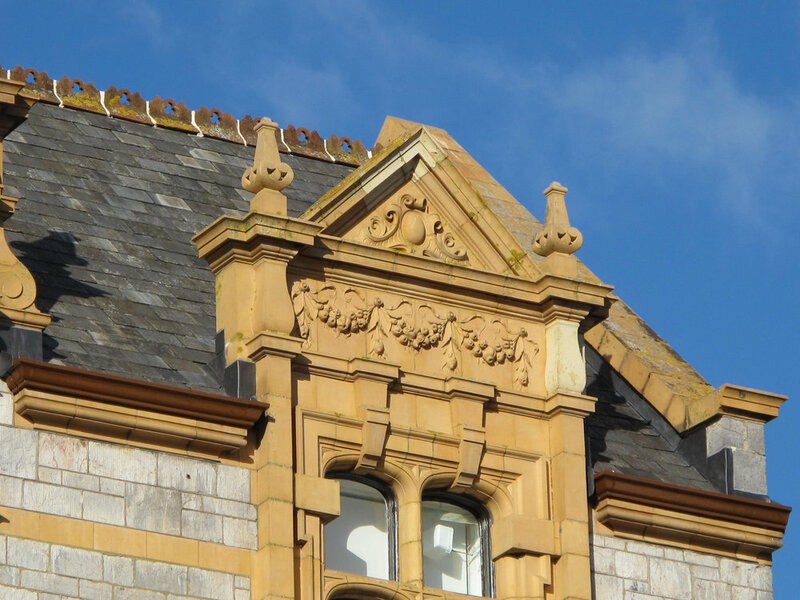 Example of new reclaimed slate with various details on a library based in Newton Abbot, Devon.